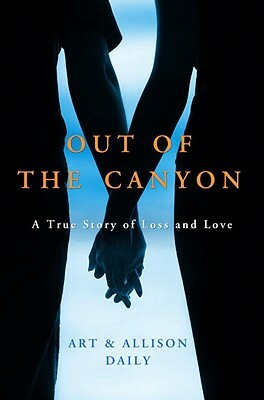 Recently I came across a book written by Art and Allison Daily, Out of the Canyon. Allison Daily is the co-director of Pathfinder Valley Angels, a non-profit organization the serves Aspen-area cancer patients. She is also the bereavement counselor at Aspen Valley Hospital. Both of us happened to have grown up in the same small community in Austin at a time when everyone knew each other, and as a kid you could ride your bike on Bee Caves Road. Imagine that! Allison’s husband, Art Dailey, lost his first wife and two young boys, in a tragic accident. While driving home with his family from a youth hockey game, they were hit by a boulder that fell from a canyon wall, leaving Art untouched. Prior to meeting Art, Allison lost a brother to suicide and I remember attending his funeral at the Presbyterian Church I grew up in. The book is the story of that loss, Art’s tragic accident, how Allison and Art met, married and their personal journey of recovery. Ghost Town Ventures of Los Angles has purchased the movie rights. They have two young boys ages 12 and 11 and both went on to live full and rewarding lives. It’s always inspiring for me to find stories of tragedy and difficulty where hope and love win. Something, I always want to hear more about. I few months back on another social media post by a colleague, I learned about something called Wordle. Wordle is a site on the Internet that makes “word clouds”. Basically, as a user you can generate “word clouds” from text you type in. The site allows you to tweak your word clouds with various fonts, layouts or colors. I have found it be quite fun. You can use the images as you like by either printing them, saving them or publishing them to a public gallery for others to view. Give it a try. It might be a fun way to express your thoughts and feelings for today. Mine is above.